Happy April! The snow is melting, the sun is out and there are plenty of events happening in Prince George to keep you busy this month. Read the list we’ve put together in partnership with Tourism Prince George to discover events ranging from theatre, to music, to yoga to hypnosis. Theatre NorthWest: Meet my sister! Meet My Sister! is the final Theatre NorthWest production of the 2018/19 season and this World Premiere promises to be hysterical. In this new comedy sisters Stella and Blanche, one from northern BC and the other from northern Ontario, try to get their mom to come out of her locked home, which has been sold, so she can move to a senior’s residence she is supposed to be moving into that day. The sisters battle the house and each other before the surprise twist ending that will keep you laughing for days. Learn how to practice yoga or get back into it by signing up for Try-It! : Yoga, a four-week, beginner mini program being held on Wednesdays during April. At a cost of only $20 for four classes, this program is a bargain! You must be 18 years or older to participate and should bring a yoga mat if possible. Some accessible spots will be available through a partnership with the Northern Adapted Sports Association. Nationally touring stand-up comedian Jeff Leeson is bringing his nationwide tour to the Prince George Playhouse for a night of live stand-up comedy that promises to be memorable. The Grandma Used to Heckle Me Comedy Tour is named after Jeff's most recent special that is currently being pitched to TV networks and streaming sites around the world. With an extremely impressive blend of long form improv and traditional stand-up comedy this is one show you do not want to miss! Get your dancing shoes on and head to the Prince George Legion for a night of uplifting music. Billie Zizi is visiting Prince George from Edmonton to share her combination of the groove of classic soul with a flair for contemporary RnB melody. Prince George favourite Amy Blanding will also entertain the crowd with her powerful voice and profound stage presence. Her folk songs collect moments in the Northern wild and turn them into folk songs with a raw edge. Tickets are available at the door. Looking for a fun family event over the Easter long weekend? Pine Centre Mall is inviting families to enjoy Easter activities including photos, basket crafts, and Easter egg hunts. There will also be 3 foot solid chocolate bunny giveaways and treats provided by Purdy’s Chocolatier. Are you a child of the 90s? If you answered yes or if you’re a big fan of 90’s music, you’ll want to grab tickets for CFUR’s Big Shiny Tunes Tribute. Hosted by CFUR Radio and Mad Loon Entertainment, this event will feature local musicians performing songs from the Big Shiny Tunes compilation CDs. This event is all-ages until 10:00 pm. Hypnotist REVEEN has been seen by over 6 million Canadians and he’s returning to Prince George for one night at Vanier Hall. The REVEEN legend continues as Tyrone Reveen (son of the original Reveen) takes his audience to the inner and outer reaches of their imagination with The Superconscious Experience. People from the audience become the stars in one of the wildest and funniest shows that has left millions of people crying with laughter all over the world. Get ready to enjoy an evening of classical music with the Prince George Symphony Orchestra’s presentation of Countryside Dreams. The concert will feature Sibelius’ Finlandia and Dvorak’s Symphony No. 8 followed by the performance of the Mozart Flute Concerto by Vancouver-based flautist Roderick Seed. Support a good cause and get a sweat on at the 4th Annual Climb for Cancer hosted by the Northern Lights Estate Winery. This event is suitable for all fitness levels as you can walk straight up the cutbanks or take the easier path that is beside the main path. All proceeds from this event will support the Canadian Cancer Society’s Kordyban Lodge, which is a home away from home for people undergoing cancer treatment in Prince George. The Canadian Home Builders’ Northern BC Home & Garden Show is back for its 42nd appearance in Prince George. This event will feature hundreds of vendors and visitors from all over northern BC who can help you make your living space safe, healthy, well-maintained, and enjoyable. The Home & Garden Show is free to attend but be careful as you might walk away with some unexpected purchases! Join Col Juicery, Trench Brewing & Distilling and Chinook Yoga for an all-level yoga class followed by your choice of a cold-pressed juice flight, beer flight, or a mix of both! This fun event will take place at Trench brewing. With only 34 tickets for Get Loose with Brews and Juice available, you’ll want to get yours soon. For more events happening in April, make sure to follow the City of Prince George and Tourism Prince George event calendars. 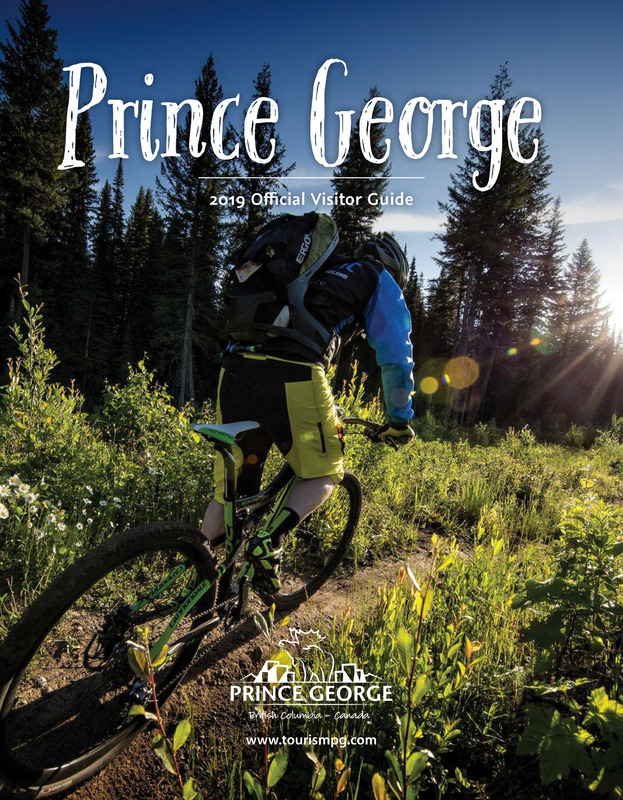 And make sure to watch for monthly event guides throughout 2019 that will be posted to the Move Up Prince George and Tourism Prince George blogs the first Wednesday of every month! Have an event you want us to share? Email it to info@moveupprincegeorge.ca.